CÚRATE Trips take you now to Spain through a tour of the life and work of Katie Button and her inseparable partner and husband Félix Meana, originally from Roses, the hometown of elBulli where both have been trained. This is a unique journey guided personally by Félix to uncover first-hand the real Spain through the authentic Spanish food, living some of the most admired experiences from the North to the South. CÚRATE not only brings Spanish cuisine to Asheville, NC in the United States, but invites you to accompany them across this journey to get the real feel of the authentic Spain in a sui generis 10-day trip from May 13 to 22 2020. CÚRATE has joined forces with the specialist food and wine tour operator Paladar y Tomar to provide the most authentic experience. It’s time to discover this signature 10-day program from Barcelona to Seville through enjoyable and comprehensive show-cooking sessions and only-well-connected experiences under the expert purview of Félix Meana and the most illustrious local cooks and professionals. Join a dream program that contains unimaginable visits all along with the valuable insight only locals can give, leaving you well versed in the foundations and techniques of Spanish cuisine and the Mediterranean culture. Welcome to Barcelona! 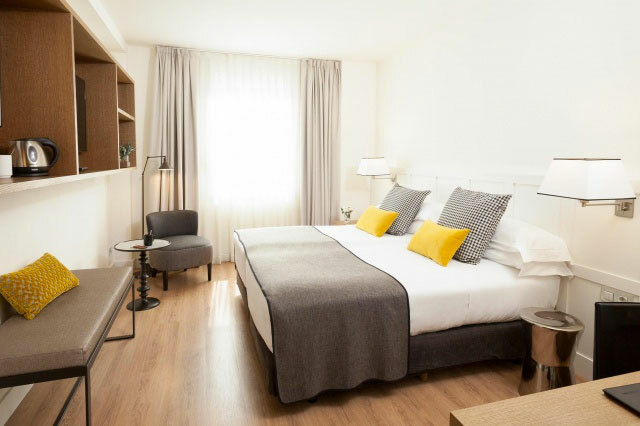 Stay right at the heart of the city at the Quadrat d’Or (Golden Quarter) only a two-minute walk from La Pedrera by Gaudí. After a welcome drink, discover the best of the Med capital and its seductive Modernist architecture, and explore the Sagrada Familia from Gaudí before sampling your first Catalan meal with a modern twist at one of our favorite taverns. Today we’ll head to Roses, one of the Most Beautiful Bays in The World. On the way we might have a chance to stop by elBulli Foundation (undergoing the final works for a new concept opening soon) leaving behind a legacy as one of the world’s most influential restaurants in history. The visit will depend on the works status. Finally end by a stunning cove to have one of the greatest paellas ever at a fishing shelter and cooked by a fisherman himself! How does dinner at Rafa’s restaurant sounds? That’s one of Ferran Adrià’s favorite places. The Dali Theatre Museum in Figueres pays spectacular homage to a unique artist, you’ll be wowed with the spectacular collection. Opened in 1974, the museum has over 1,500 artworks, including paintings, sculptures, sketches, photography, and much more. Lovers of arts will find the gallery “Dalí·Jewels” very interesting – which houses a gilded collection of gems, of which the old “Owen Cheatham” is the most impressive. This museum is one good more excuse to escape to northern Catalonia. Visit Castell de Perelada, making Dali’s preferred sparkling rosé and producing wine since Middle Ages. Enjoy a sumptuous castle hosting a private museum, a magnificent library – one of the most important private libraries in Europe – and of course, the winery. A wine tasting will be preceding an elegant lunch at the Michelin starred restaurant. After lunch, imagine taking a walk and at the same time discovering some of the best kept secrets of the famous Mediterranean cuisine! From ancient plants used by our ancestors to flowers used by the most awarded Michelin starred restaurants, today open your senses and let you go! Capture the magic of the Cap de Creus, we’ll take you to its lighthouse, offering stunning views in the heart of the Cap de Creus Natural Park, where the Greeks brought the cultivation of olive trees and vineyards. Time to head to the charming Cadaqués and stroll around its meandering stoned narrow streets full of arts after an unmatched guided tour to Dali’s house. Lunch at Compartir restaurant (owned and operated by three former chefs of elBulli awarded with two Michelin stars in Barcelona) will delight your soul. Back to Barcelona (lunch on your own) and meet for an afternoon Gothic quarter hidden secrets private tour to discover a more relaxed, full of history, art, anecdotes, and, of course, secret Barcelona. Most buildings in Barri Gotic date back to the 13th and 14th century. The prevalent gothic style gave the district its name. Barcelona developed to the most important harbor in the western Mediterranean. The gothic cathedral of La Seu is the greatest example for the architecture of that era. The actual Barri Gotic stretches from Placa Catalunya to Port Vell (the old port). Without leaving the Gothic district, you’ll find yourself in a singular space for a chic show cooking in a comfortable and state-of-the-art private kitchen. Feel free to participate or just observe how some of CÚRATE’s recipes are prepared. Early flight to head South to Sanlúcar de Barrameda, a remote seaside town, immersed in wine aromas and marine fragrance, caressed by west winds and protected by the biggest natural park in Europe: Doñana Park. Enjoy some memorable food in the real way with a seafood hearty lunch. By dinnertime, a degustation menu by chef Fernando Córdoba, considered “the father” of the local modern-twist in the cuisine of Cadiz province, will be served. Today is Tuna Experience day! Embark with us on a unique journey to discover all the secrets of the blue fin tuna and the ancient fishing tradition known as Almadraba, a fishing method on the Iberian Peninsula that dates back to a time of Phoenician rule over 3,000 years ago. An expert lecture is foreseen with Mr. Medina, Biologist and Professor at the Sea Science Faculty in Cádiz. Then watch first hand a whole tuna butchering process and finally enjoy the most amazing tuna degustation menu ever! By the evening, gala dinner at the impressive sherry bodega Lustau in Jerez de la Frontera, after a full tasting of sherry wines at one of the most beautiful wine cathedrals. Founded by Rome, conquered by Muslims and later incorporated into the Christian kingdom of Spain, Seville is still reinventing itself. An unmissable landmark, the Royal Palace “Alcázar”, considered the oldest Palace in Europe still in use by a royal family since the 13th century. Once inside stroll across the three different palaces, like the one of the King Peter the 1st “the Cruel”. The Gothic Palace built by King Alfonso the 10th “the Wise”. We will walk across the royal gardens (5 hectares) and will get lost at the labyrinth garden around Charles the 5th Pavilion. Of course you will hear the legends and gossips hidden behind the walls of this magnificent Palace. Both monuments are UNESCO World Heritage Sites. Seville’s magnificent Cathedral is the third largest in the word. The Giralda Tower at 98 m altitude, is the symbol of Seville. Admire the burial of Christopher Columbus, as well as the main altar of the Christendom. After a farm-to-table lunch, free evening to enjoy the captivating city on your own. The world’s finest ham awaits you in Jabugo, in the heart of Sierra de Aracena Natural Park and Picos de Aroche, a UNESCO-protected Biosphere Reserve. In total exclusivity, Cinco Jotas welcomes you and you will see first-hand the secrets of one of Spain’s gastronomic icons. You will be side by side with the black pigs, discover the artisanal process that has been applied for over 130 years and of course, sample the most prized ham and understand what they call the art of well-being. An spectacular country lunch based on Iberian pork will be served. Tonight, farewell dinner at one of the best Spanish fish restaurants, Tribeca, to leave Spain richer and more refreshed than when you arrived. After breakfast, transfer to Seville airport or train station for return flights home or trip extensions. Chef Katie Button was born in the South, raised in the North, and educated in Europe. Now, she has returned to her roots as chef and owner of two unique restaurant concepts in Asheville, North Carolina: Cúrate Tapas Bar and Nightbell. Originally from Roses, a small town on the Costa Brava in Catalunya, Spain, Felix Meana jumped in to the deep end of the hospitality industry at 19. Felix spent 5 years at world renowned restaurant, elBulli, before moving to America as service director for ThinkFoodGroup, chef José Andrés’ restaurant group. While working with José Andrés, he met his wife Chef Katie Button and in 2010, Meana and Button founded Heirloom Hospitality Group with Button’s parents and opened the awarded Catalonian-style tapas bar, Cúrate, and a few years after that they opened their second restaurant, Nightbell. Félix has spent his whole life developing relationships in the food and wine world of Spain. These relationships allow him to offer unique personal travel experiences of Spain. JAMÓN IBÉRICO The treasure of Spanish cuisine, Jamón Ibérico de Bellota - with its sweet, nutty, not-too-salty attributes - is wholly Spanish with its wafer thin slices melting in the mouths of foodies everywhere. Global consumption fluctuates around 40 million kilos per year – about one kilo of Ibérico per Spaniard. BLUE FIN TUNA Utilizing ancient 3,000 year-old Almadraba techniques in the most venerable fishing method known to man, Spaniards have long been able to catch these prized silver-backed “bulls of the sea.” Considered the best worldwide in terms of quality and taste because of the high fat content and healthy size. PAELLA & TAPAS The most famous Spanish dish and the most renowned eating style "tapas" are both present at this authentic Spanish adventure. SEAFOOD PARADISE Spain possesses the largest organic biodiversity in Europe, with the highest designated organic agricultural acreage and as home to a third of all endemic European flora and fauna species. Try unique local produce. COOKING SESSIONS Attend two authentic hands-on cooking classes in Barcelona and Seville at some unique kitchens. Learn how to make some of Katie Button's recipes. MEDITERRANEAN DIET The Mediterranean diet, awarded with UNESCO’s Intangible Cultural Heritage designation, is more than just a healthful gastronomic recommendation: it is a way of life. In few other places is this as perfectly exemplified as in Spain, where our relaxed, traditional preparation of foods with olive oils, vegetables, fresh seasonal products and, of course, a healthy dose of wine per day comprise a delectable and wholesome diet riddled with health benefits. WINES Spain boasts an industry booming with unprecedented quality, thrill, and value. Robust reds, crisp whites, refreshing rosés, luxe sherries, and sparkling cavas can all be found within the 69 designated Spanish wine appellations, with climates bridging the soggy green vineyards of the north to the sun-baked vines of the south. CULTURE HERITAGE Did you know Spain is the third country in the world with most UNESCO Heritage Sites only behind China and Italy? Beyond food and wine, CÚRATE Trip explores the rich and impressive cultural wealth of the country. 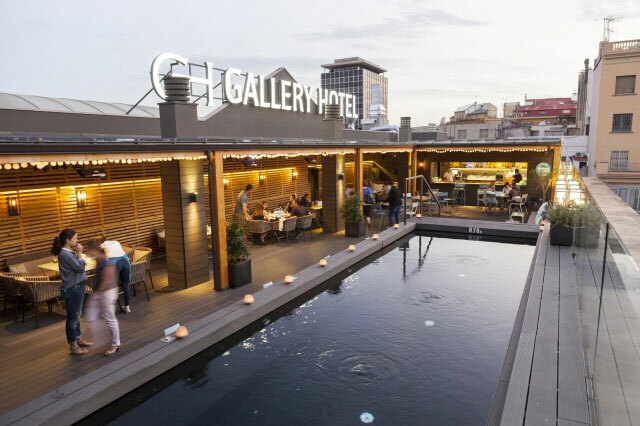 Probably the hotel with the best location in Barcelona! 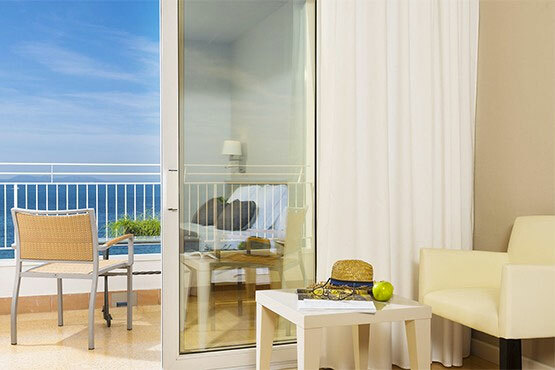 Rooms fully renovated are bright, quite and cozy offer comfort, tranquility and a great variety of little extras. 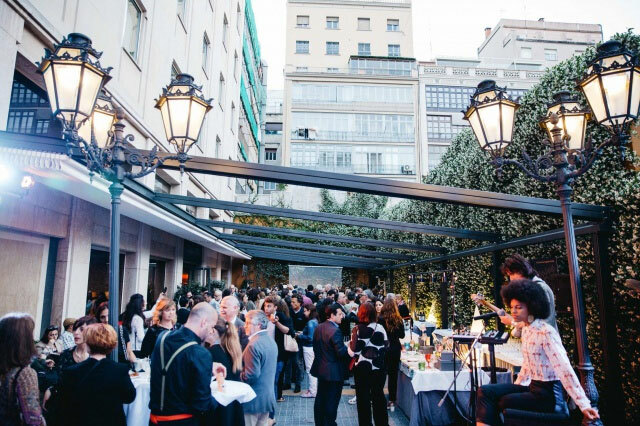 A few steps from Paseo de Gracia avenue, its location and staff are exquisite. Bold, daring and adventurous. That was grandfather Honorat (“Norat”) Gotanegra i Marcó, who in 1935, having travelled half the world to learn the profession of hotelier, returned to Roses full of experiences ready to open his own business: a hotel over the beach, where his guests could contemplate the gentle to and fro of the Mediterranean waters. Set in the private and exclusive residencial complex Vistahermosa, with more than 3000 meters of subtropical gardens, the 18 exclusive Premium Rooms over 40 square meters offer the perfect atmosphere to unwind. Stay in a 18th century palace! Rooms are exquisite and enjoy the best attention in the enclave of your dreams. Discover the pleasure of finding accommodation while reliving centuries of history in the heart of Seville. Katie’s and Félix’s lives are marked by the flavors, scents, sceneries and memories of Spain. When traveling to Spain, you have to visit Barcelona. It is undoubtedly one of the cosmopolitan European references. And Roses, a mere two hours north of Barcelona, has been at the heart of the world culinary rebellion with Ferràn Adrià being arguably the greatest culinary revolutionary of our time. Not to mention the fact that Félix is originally from Roses and Katie did one of her most crucial internships at elBulli. Now, at CÚRATE their kitchen is inspired by the Mediterranean and stocked with the greatest delicacies from Andalusia such as the prized Spanish tuna, jamón ibérico and sherry wines. Don’t miss the opportunity to know first hand their origins when we visit El Puerto de Santa María, Huelva, and Seville. As a Spanish chef in America, I am so jealous of this book. Nobody embraces Spain in the heart of America with more poetry, passion, and perfection than Katie. She and her husband Félix are family to me, and I feel great joy seeing how she has grown as a person and as a chef. Cúrate is a prototype of how genuine tapas—the kind from Spain—might flourish throughout America. It’s that accessible, and it’s so appealing that the restaurant is packed day and night. With this book, Katie brings the true essence of Spanish cuisine to the American kitchen. Katie and Felix are the perfect example of how dedication, passion, talent, and a shared dream can lead to the greatest success. Katie Button is one the most inspiring young cooks who received the title of Best New Chef during my tenure as Editor in Chief at Food & Wine. I’m incredibly excited to now be able to replicate her fantastic Spanish-by-way-of-the-South food from this amazing new book. You haven’t lived ’til you’ve eaten at Cúrate.